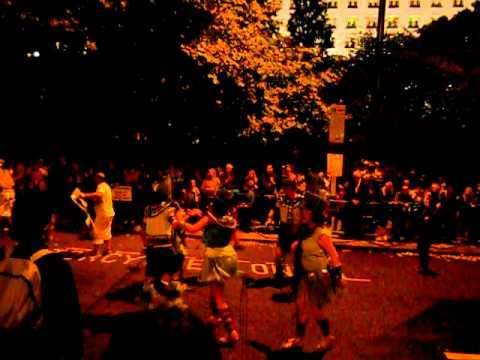 The Lord Mayor's Thames Festival festivities culminated with the Carnival style night parade. Performers sauntered and sambaed their way through the streets in a cacophony of light and sound. It was hard to get good photos but these videos really capture the energy of the performances. Overall, The Lord Mayor's Thames Festival gave us a great excuse to visit London and experience a variety of different aspects of the riverfront. It was definitely worth the trip.